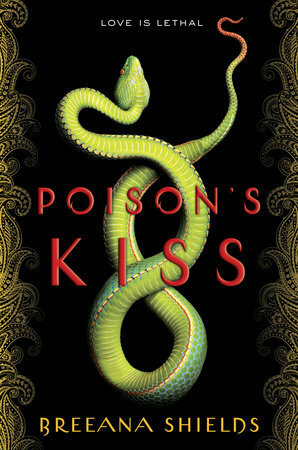 I’ve been staring at this screen for an hour now, trying to think of a few words that would accurately summarise what I feel for Poison’s Kiss, but all I feel is a tangled mess of… everything. I feel a certain kinship with the characters, after getting thoroughly invested in their lives in just a few chapters. I feel sad that I finished the book so quickly, and that I will have to wait over a year for the sequel. I feel HAPPY that I finally found a WELL WRITTEN book about Indian Mythology that didn’t overdo it as well. I’m slightly annoyed that this book name dropped Red Queen and Throne Of Glass in the blurb because while Marinda was a LOVELY character, I couldn’t quite compare her to Aelin or Mare – they’re just different people. And books. And, of course, I’m feeling ALL THE FEELS at this beautifully written, plot twist inducing piece of art that I would DEFINITELY recommend you pick up. If you saw Marinda on the streets, you’d think she was your everyday girl. She works at a bookstore and takes care of her sickly little brother. Except, Marinda is as assassin, killing enemies of the country with a single kiss. 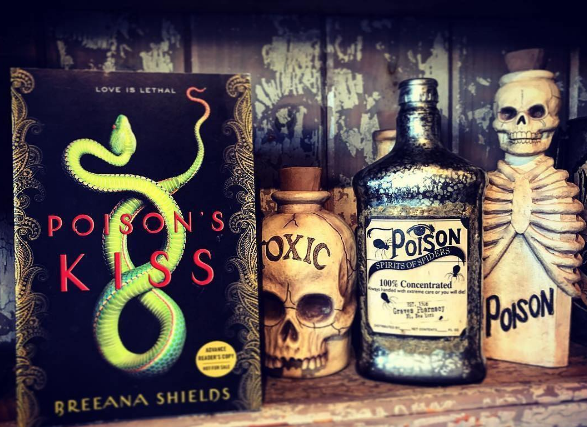 She’s a poison maiden – a visha kanya – and nothing about her is normal. Inside, Marinda wallows in guilt for the things she does and the lives she takes, but she knows she doesn’t have a choice. 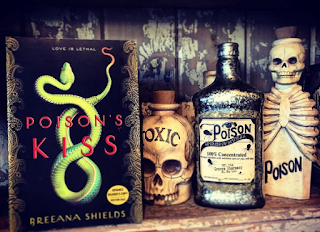 Due to her brother’s weak lungs, he needs the medicine her handler gives her to survive, and so she stays, using the poison in her to kill at someone else’s every demand. Except for when she is commanded to kill a boy who clearly can’t be a threat to the country she lives in. He gives her brother piggyback rides and catches her when she trips on herself, but most of all, he notices the real Marinda and killing him seems like an unforgivable crime. One thing I LOVED about the book was the relationship between Marinda and Mani. It was a gorgeous example of a brother – sister relationship, not unlike the ones I have with my too smart younger cousins, and it made me smile ALL THE TIME. I also loved all the PLOT TWISTS that I simply did NOT SEE COMING. The book went from simple to complicated, from something good to something GREAT and I loved every second of it. I loved how each of the characters had a good side and a bad side, their own intentions and dreams and ever changing sides in the war between good and evil, which made them seem so much more REAL. The only reason this is a four star book, and not a whole five stars is because of Marinda. When all the plot twists were being revealed, I couldn’t BELIEVE she hadn’t asked these questions before, or somehow hadn’t found out answers or TRIED. She was simply TOO TRUSTING for an Assassin, and it was a little strange. 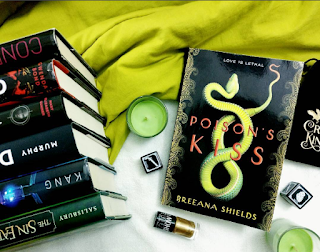 A lush, exotic book filled with complex characters and wondrous writing that will keep you captivated from start to finish. What was the last book on mythology you read? Have you read any Indian Mythology books that I NEED to as well?